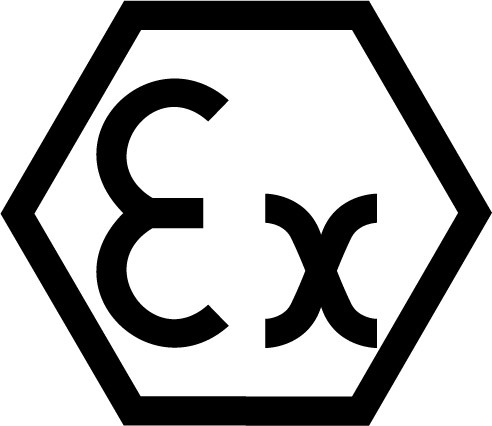 The EX30 is a direct operated, reduced port solenoid valve intended for inlet pressures of up to 15,000 psi with low flow rates. It will operate with a wide range of media, ranging from light oils to gases. There is no minimum required differential pressure. 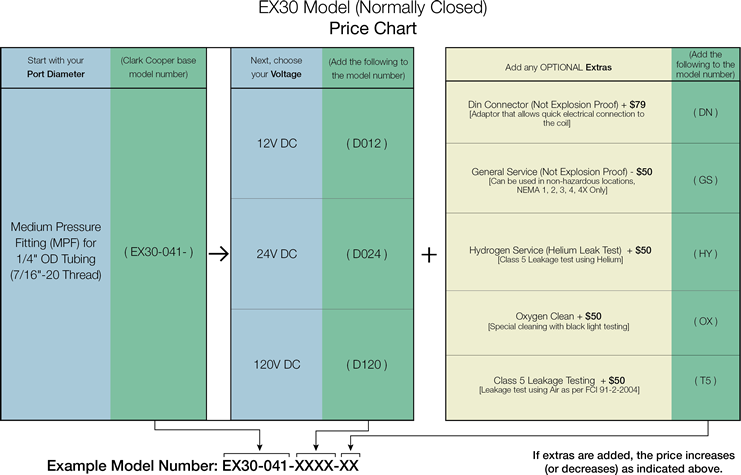 The EX30 is currently available in the normally closed (fail close) configuration only. 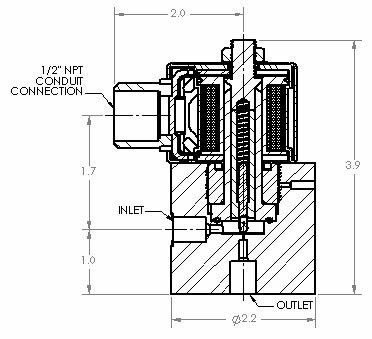 The valve should be mounted vertically with the coil on top to allow opening at maximum allowable pressure. Filters are recommended for all applications due to the small orifice.